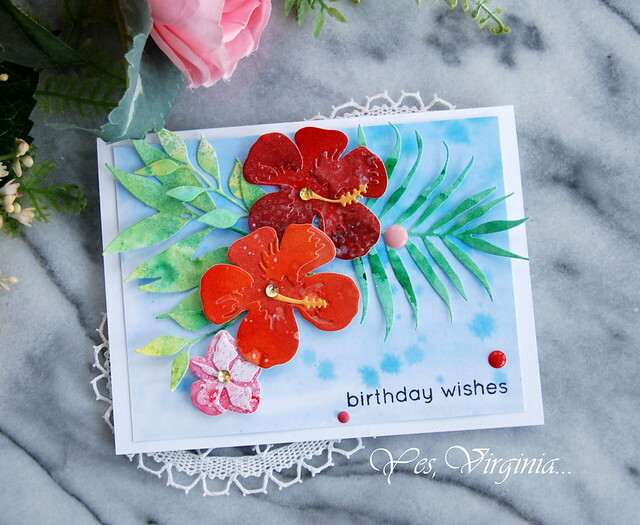 I am popping in with another card with 3D Hibiscus Die. The pieces I used was a left over from my previous card. Here is my previous post about how I created these hibiscus. I took a short cut and used pattern paper for the background! This time I added sequins to the hibiscus flower center. 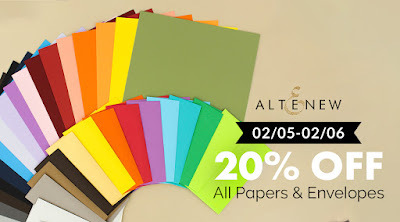 By the way, the paper Enchanting Washes that I used is 20% off! You can see the entire paper and envelope collection here. So pretty and spring-like! 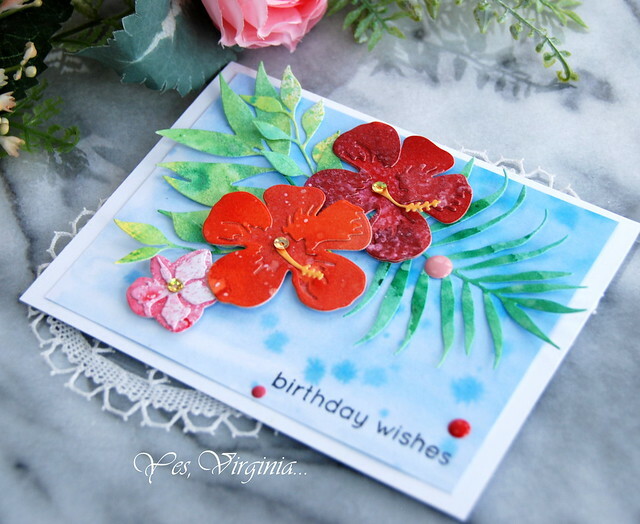 Love the 3D Hibiscus set. Once again, you really know how to arrange flowers. So vibrant and pretty against those lovely leaves. Wonderful card! I definitely am adding this die set to my wishlist!!! Love this beautiful 3D set! Another fave! Lovely card! I love that you used the "left over" pieces to create this card, it's beautiful too. I like the sequin for the center, I must remember that when I get this set. Thanks for the fabulous inspiration once again. 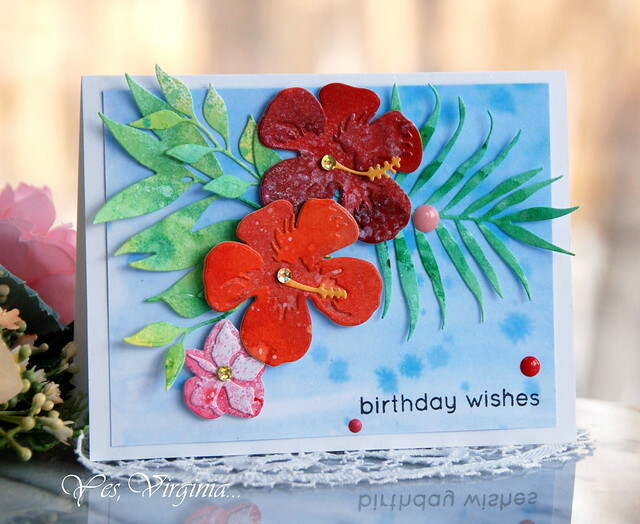 Beautiful hibiscus card and looks great on the patterned paper. Love the boldly colored flowers on the soft background. Beautiful card!